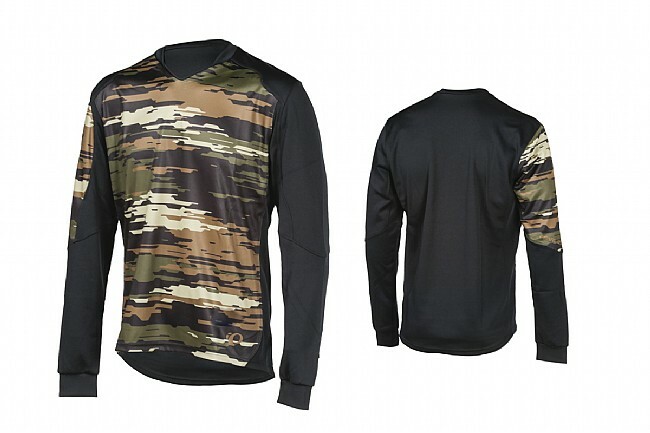 You'll be harder than ever to track down while you're pinned on the downhill wearing this camo print Pearl Izumi Launch Thermal Jersey. It features winter-weight Thermal Fleece fabric for excellent insulation and moisture-management. The V-neck collar sits low and out of the way while riding, and a built-in sunglass wipe on the inner hem helps you wipe away any of that winter muck.